It was stapled on by the Church—and ham-handedly. Of course, they couldn’t process that. So they grilled me. How could I say Christianity was just like all the other religions? Didn’t I realize that other religions are people reaching up to God—whereas Christianity is God reaching down to humans? As they went on, I couldn’t help but see myself in college, going up to people cold with Campus Crusade for Christ to “share” the Four Spiritual Laws. This got them going on about how Jesus perfectly fulfilled Old Testament prophecies—in particular Isaiah 53, which talks about the “Suffering Servant.” How could I not see that that is talking about Jesus? It’s as plain as the nose on your face. Surely he has borne our infirmities and carried our diseases; yet we accounted him stricken, struck down by God, and afflicted. But he was wounded for our transgressions, crushed for our iniquities. When you’re a Christian and you read something like that, it’s nearly impossible to unread it. It’s so obviously Jesus! Nearly impossible. I’ve trained my brain to spot baloney from believers. First off, Isaiah 53 clearly is not about the Messiah. It’s about Israel. Read the context. Specifically, read Isaiah 52, 53 and 54 together, and you’ll see this. The servant is Israel. A Christian’s best position, then, would be to admit that the passage is in fact about Israel but that there is second hidden meaning that is about Jesus. Thing is, you need to be wearing your Christian decoder ring to spot things like that. 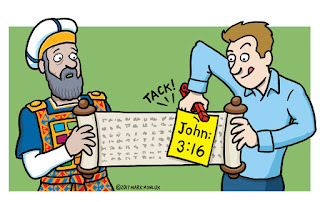 Which makes you wonder, Why would God hide these messianic references from the Jews? If the sacrifice of a suffering Messiah was so critical to God’s plan—Christians will tell you it was the whole point of Judaism—you would think He would have made sure the Jews understood it. As it is, it looks like God botched the plan of redemption. He left His Chosen People out in the cold. The Jews studied the Hebrew scriptures diligently and devotedly, looking for any clue about the Messiah. In so doing, they built a popular expectation that the Messiah would be the God-sent king who would sit on the throne in the Kingdom of God in Jerusalem. The idea of a suffering Messiah was stupid. The Messiah was going to rule. If Christianity did indeed flow out of Judaism, then the Jews would have naturally become Christians. Makes sense. But what we see is that the God of Christianity pulled a bait and switch on the Jews. He allowed the Jews to get a completely incorrect picture of what the Messiah would be. They didn’t see the hidden clues because they were . . . hidden. I think what’s more likely is that the early Christians who came to believe in the idea of a suffering Messiah searched their scriptures—what Christians call the Old Testament—looking and looking for verses that supported their case. And—whattayaknow?—they found them. Also, they knew these passages intimately and made sure the stories of Jesus’ life and death lined up. Make sure someone pierces him! And have him say nothing when he’s in front of the Sanhedrin! Think about it. The only reason we know that Jesus was born in Bethlehem, for example, is that the gospel authors claim it. There are no other sources. Am I saying the early Christians lied? Well, yes. They probably found ways to rationalize it. Who’s to say he WASN’T born in Bethlehem? The important thing is that people get saved! Christians lie all the time. Have you not watched Benny Hinn lately? Bottom line, Jesus failed. 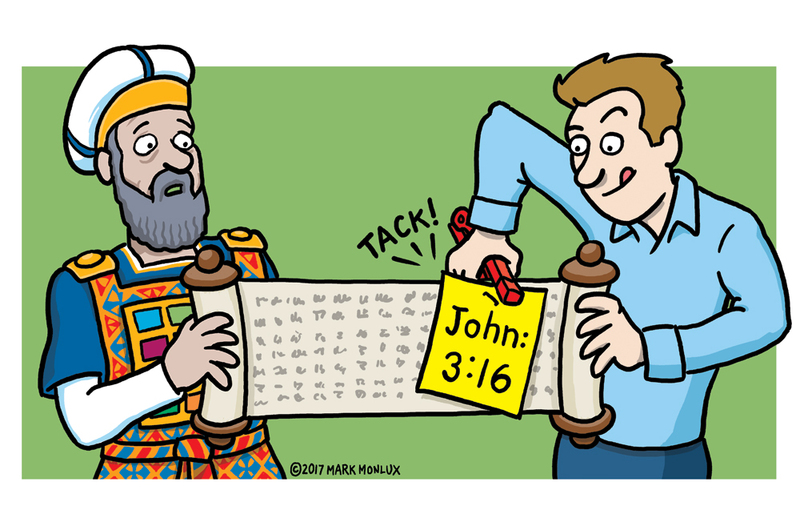 Judaism may well be true. The Messiah may yet come. Who’s to say? Until then, though, I’m laying my bet that both religions are just wishful thinking: We’re God’s People! Truth is, God doesn’t have A People.